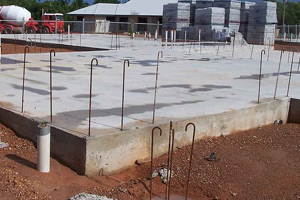 A concrete foundation is used to support a building or structure and transmits loads directly to the underlying soil or rock. It must satisfy two fundamental requirements. Firstly, it must provide an adequate factor of safety against failure of the supporting strata. Secondly, any resulting settlement, and in particular differential settlement, should not be detrimental or interfere with the function of the structure. 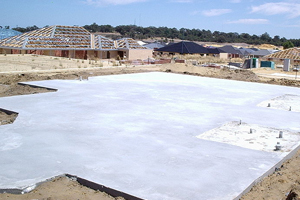 There are various types on concrete foundations depending on the soil type, fall of the land and what type of structure is being built. 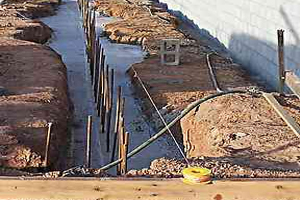 Hume & Sons Concreting are up to date with all the latest standards and technologies used to build quality durable foundations. 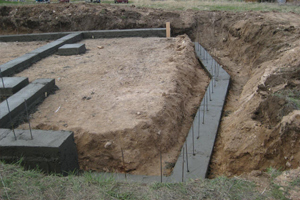 CONTACT US TODAY FOR A QUOTE ON A CONCRETE FOUNDATION!